Another Opinion with Paul Hosse': Crime In America: Where Do Our Cities and States Rank? Crime In America: Where Do Our Cities and States Rank? On March 8th of this year, Louisville Mayor Greg Fischer delivered a well prepared speech with his embattled Chief of Police, Steve Conrad, standing behind him and told the residents of Louisville that we didn't have a crime problem. He claimed that homicides, shootings, and robberies were down 30%. Perhaps they are, but other than the local media, complainant as always, and a few beholden supporters, no one was present to ask him the tough questions and demand the straight forward answers which this administration seems to go to great lengths to avoid. Never mind the fact that we hear or read about a shooting or murder nearly every night. Never mind the fact that in some parts of the city, the crime is so bad that even the police are hesitant to go there after dark. Never mind the fact that areas once considered "stable" and safe, are increasingly becoming havens of violent gangs, which local government denied even existed for years. Throughout his recent election campaign, Fischer insisted that crime was on the decrease; Louisville was a safe city despite the residents believing otherwise. But he also insisted that Louisville had a solid financial base, but as soon as the election was over, dropped a $65 million dollar bomb on the public; claiming that the tax on insurance would have to go up 300% or otherwise he was going to cut essential services like police, fire protection, and EMS (the bill was the city's portion of state pensions which the city knew about for two years but said nothing about) So, what is the truth? Where does Louisville stand with respect to crime? For that matter, where are the safest places to live by state and city? We'll address those questions one by one. According to an article by US News and World Report, the safest state to live in is Maine. It was ranked first for having the lowest number of violent crimes and fifth in terms of property related crimes. This was followed by Vermont and New Hampshire which were numbers two and three respectively in terms of violent crimes. New Hampshire was ranked first for having the lowest number of property related crimes while Vermont was sixth. In fourth place was New Jersey, which I'm sure comes as a surprise, but it was ranked second for the lowest number of property related crimes and twelfth in terms of violent crimes. The fifth spot went to Idaho. Property crime was ranked eighth while violent crime was sixth. Rounding out the rest of the top ten positions, in order, was Connecticut, Virginia, Rhode Island, Wyoming, and Pennsylvania. Kentucky was ranked twelfth overall. Violent crimes in the state was ranked seventh while property crime was 20th. Now, let's look at the five worse states to live in. Coming in 46th place was Tennessee. Violent crime placed the Volunteer State near the bottom at 47th while property crime was 37th. In the 47th spot was Arkansas. Property crime landed it in 46th place and violent crime was 45th. The 48th place belongs to Louisiana. Violent crimes was ranked at 46th worse while property crime was 47th. The runner-up state of worse places to live in terms of crime goes to Alaska! Now seriously, who saw that coming? Alaska? Yelp, the snowball capitol of America came in 49th. Property crimes ranked the state as 48th worse while violent crime made it the absolute worse state, coming in 50th place. Finally, the worst state in terms of crimes belongs to New Mexico, which was 50th in property crime and 49th in violent crime. Perhaps one important reason is due to all the illegal immigrants crossing the border along with the influx and influence of criminal drug cartels and their gangs. Some honorable and not-so-honorable mentions go to Ohio in 21st place, Illinois at 25th, Colorado holding the 27th spot, Hawaii in 29th and North Carolina is 31st. Meanwhile, California is 34th, Florida is 35th and Texas is 36th. Delaware is in 40th place, Alabama is 43rd, followed by South Carolina and Nevada. Now, what about cities and crime? In terms of "big cities" as defined by the FBI (cities with 250,000 or more residents), the city with the worst crime rating was Detroit, Michigan, which as most people know, is an example of gross mismanagement, poor government, high taxes, and a largely ineffective police department. The result has been a "hollowing out" of the city's core as people and businesses moved out, taking their tax revenue with them. This is something all city mayors, regardless of size, fear (some have suggested that this may be Louisville's fate as well if it keeps to its present course). The second worst city to live in when it comes to crime was Memphis, Tennessee (which shares part of its crime problem with West Memphis, which is just across the Mississippi in Arkansas). The third place winner...or loser in this case...goes to Oakland, California, across the bay from San Francisco. Next was St. Louis, Missouri followed by Milwaukee, Wisconsin. Rounding out the top five is Baltimore, Maryland. Other states to make the top tier of the worst cities to live in terms of crimes include Cleveland, Ohio, Stockton, California, Indianapolis, Indiana, and Kansas, Missouri. Of the three largest cities in America, Chicago had the highest violent crime rate followed by New York City, and Los Angeles. Regarding homicide rates, the worse place to be was again in St. Louis, Missouri followed by Detroit, Michigan. The "Big Easy", New Orleans comes in third place. Next comes Baltimore, Maryland and then Newark, New Jersey, which may be a spillover from NYC. Rounding out the top ten are Buffalo, New York, Pittsburgh, Pennsylvania, Memphis Tennessee, Atlanta, Georgia, and Cincinnati, Ohio. Among medium size cities (cities with 100,000 to 199,999 in population), Birmingham, Alabama was the place not to be. It claimed first place 1588.29 crimes reported per 10,000. In second place was Little Rock, Arkansas, followed by Rockford, Illinois. Springfield, Missouri was fourth with Lansing, Michigan completing the top five. Other dishonorable mentions go to Hartford and Springfield Connecticut, Springfield, Massachusetts, Springfield, Illinois, and San Bernardino, California. If we look at the murder rates for medium size cities, Jackson, Mississippi takes first place. Coming in second was Birmingham, Alabama. The third place city with the highest murder rates was Baton Rouge, Louisiana. Fourth place was New Charleston, South Carolina, followed by Little Rock, Arkansas. Finishing up top ten are San Bernardino, California, Richmond, Virginia, Dayton, Ohio, Inglewood, California, and Montgomery, Alabama. Finally, the small cities (cities with populations from 10,000 to 9,999). Darby, Pennsylvania has the most violent crime, which was followed by East St. Louis, Missouri and Florida City, Florida. Next on the list was Espanola, New Mexico and Benton Harbor, Michigan. Other cities on the FBI's list of small cities include Opa Locka, Florida, Anniston, Alabama, College Park, Georgia, Gallup, New Mexico, and Cocoa, Florida. As for the highest murder rates, East St. Louis, Missouri has the highest homicide rate. In second spot was Chester, Pennsylvania followed by Muskegon Heights, Michigan in third place. Fourth place belongs to Helena-West Helena, Arkansas. Completing the top five was College Park, Georgia. In addition, you have Gary, Indiana, which is just outside of Chicago, Trenton, New Jersey, Eunice, Louisiana, Lumberton, North Carolina, and Rivera Beach, Florida. So, were any of your states or cities listed? Should they have been listed higher or lower on the FBI's list? What about Louisville, Kentucky? With a post-merger population of around 770,000 (1.2 million in the Greater Metro area), it should have fallen in with the large size cities. Obviously it's not among the top ten worse cities in term of crime. Where is it ranked then? Maybe Mayor Fischer was right and crime isn't so bad after all. According to the Neighborhood Scout, Louisville is ranked number five on its Crime Index (the top score was 100), meaning that it's safest among 5% of US cities. Being the state's largest city, it also has (by far) the highest crime rate, 6.89 per 1000 residents compared to the state average of 2.26. In 2018, there was 31,145 reported crimes. Of these, 21,266 pertained to property while 4,281 were violent crimes. 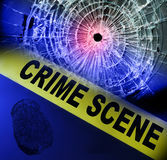 The reports also points out that your chances of being involved in violent crime in Louisville is 1 in 145 compared to 1 in 443 out in the state. How does that stack up nationally? Louisville's murder rate was 106 in 2017, which equals 0.17 per 1000. The national rate is 0.05. There were 167 rapes reported. This equates to .027 of the violent crimes locally. Nationally this figure is 0.42. In terms of robbery (armed or otherwise), there was 1,315 reported. That's about 2.12 per 1000. Nationally that figure is 0.98. Finally, assaults. There was 2,693 reported assaults in 2018, which is translates to 4.33 per 1000. Nationally, that number is 2.43. Not exactly what I'd call "safe" would you? The murder rate improved slightly in 2018, down to "only" 80 homicides. Let's check another source to be sure. The next place I looked at was a US News and World Report article which looked at crime rates and safety. According to the report, Louisville is the 61st best place to live and 56th when it comes to retirement (owing mostly to the number of parks and location of the city to other areas such as Nashville, St Louis, Indianapolis, and Cincinnati). However, in terms of crime, the report gave Louisville a big ole red thumbs down. Louisville ranked a 4.8 out of a possible 10 with the notation that it had a higher than average crime rate of similar sized cities. Louisville's index was 451.9 compared to Charlotte, North Carolina (441), Pittsburgh, Pennsylvania (227) and Portland, Oregon (276) . Not looking good Mister Fischer. Let's try one more site shall we? The next the site I looked at is called "Only In Your State", which examines a plethora of independent data to do their rankings. In fact, they even comprised a list of the top ten worse cities in Kentucky to live in due to crime. Working backwards and starting in tenth place was Somerset, Bowling Green (aka "Little Chicago"), Versailles, Lexington, Hopkinsville, Frankfort (the state capitol, so criminals of all types are a automatic given), Shively (which is located in Jefferson County with Louisville), Newport (located across the Ohio River from Cincinnati, which as we saw earlier, has one of the top murder rates in the country), and Georgetown. 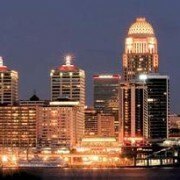 The number one city in terms of crime in Kentucky is...drum roll please....Louisville! Yelp, that's right. The city in which the mayor, police chief, and Metro Council have all proclaimed to be safe, is ranked as the "most dangerous city in Kentucky". How about that? As the site pointed out, Louisville led the US in murders in 2015, beating out New York, LA, Atlanta, and even Chicago (in 2016, it had 118 homicides). Put that on your tourism posters! The site also mentioned that most of the victims aren't the only one's getting buried. So is all the actual crime reports apparently; hidden under the mayor's well fertilized doublespeak PR campaigns. So, while it's doubtful there will be any serious cuts to police, fire protection, or EMS as a result of the mayor's now defeated 300% tax increase proposal (it was defeated in a rare bipartisan vote of 15 to 11 on March 21), there will be cuts to an over-inflated bureaucracy, a comprehensive audit, and (hopefully) an end to pet projects. When it comes to tax increases, there should be no sacred cows. However, one thing is for sure, Louisville is not as advertised. It has an higher crime rate than comparable cities of the similar size, and yet it's already one of the highest taxed cities in the US (currently 8th; just behind Detroit) and it's about to get much worse. Aside from the now defeated 300% "Fischer Tax", there are still four other taxes and rate increases in the pipeline---water, electricity, waste, and gasoline being considered, plus the possibility of an increase in property tax. Politicians, regardless of their political party, have historically proven that they can't manage our money and few have ever met a tax they didn't like or couldn't justify. That's why I think all rate and tax increases (included salaries for elected officials) should have final approval by the voters. After all, it's our money and we should have the final say as to how we want it spent don't you think?